Provide comfort for the family of Dale Smetzer with a meaningful gesture of sympathy. 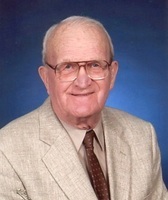 Dale E. Smetzer, age 94, of Wooster, passed away, Friday, January 18, 2019 at Danbury Senior Living in Wooster following a short illness. He was born on November 18, 1924 in Clinton Twp. (Wayne County), Ohio to Francis S. and Margaret (Hanna) Smetzer and has been a life long resident of the area. He married Carolyn Todd on March 4, 1945 in Wayne County. She survives. He was Owner/Operator of Smetzer Service in Wooster for over 35 years. He then worked for Ken Miller Supply where he retired from after 10 years of service. Dale was a member of Shreve United Methodist Church; served as Wooster Twp. Trustee for 24 years and was past President of Triway Booster Club. In addition to his wife, he is survived by his sons, Terry C. (Julia) Smetzer of Upper Arlington, Ohio and Gary D. (Shirley) Smetzer of Pataskala, Ohio; 5 grandchildren, Renee (Neil) Britton of Pataskala, Ohio, Alex Smetzer of Columbus, Ohio, Adam (Stacey) Smetzer of Grove City, Ohio, Sarah (Todd) Fox of San Francisco, CA. and Derek Smetzer of Orrville, Ohio; 3 great-grandchildren, Aubrey Smetzer, Carson and Logan Britton; a brother, Richard (Donna) Smetzer of Wooster and many friends. In addition to his parents, he is preceded in death by a son, Larry R. Smetzer; a sister and 4 brothers. Services will be Monday, 2:00 p.m. at Custer-Glenn Funeral Home, 2284 Benden Dr. in Wooster with Pastor Dennis Rinehart officiating. There will be a private interment at Wooster Cemetery following services at the convenience of the family. Visitation will be one hour ( 1:00 p.m. - 2:00 p.m.) prior to services at the funeral home. Memorial contributions may be made in lieu of flowers to either: LifeCare Hospice, 1900 Akron Rd., Wooster, Ohio 44691 or Wooster Twp. Fire & Rescue Association, 1917 Millersburg Rd., Wooster, Ohio 44691. 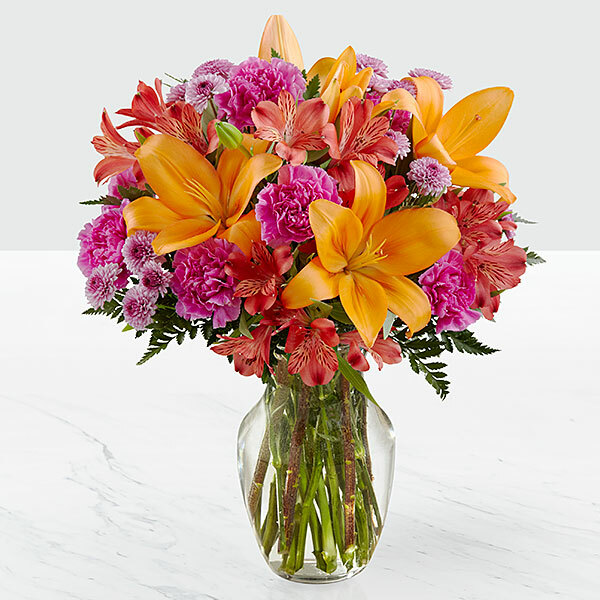 To send flowers in memory of Dale E. Smetzer, please visit our Heartfelt Sympathies Store. Leo Alfred Family and The Horn Family., Norma, Greg, And Holly have sent flowers to the family of Dale E. Smetzer. I had the good fortune fo have lived two doors down from the Smetzers growing up. Dale would fix our bikes, take us for putt putt rides, referee our softball games and break up all the scuffles among his three ornery sons and our Shreve - Batdorf road gang. Dale taught me humility, always whipping me in billiards and golf as I got older. He was a successful business man, an elected township trustee, a community volunteer, a devoted husband, caring father, and dear friend to all. He and Carolyn shared so many good times throughout their 70 plus years together. Dale lived a 94 year life of faith, family and friendship to the fullest measure. Our heartfelt condolences to the Smetzer family...we will miss him. My sympathies in hearing of Dales passing. He was such a warm hearted man. I would like to add there were 2 more great grandchildren not mentioned, Derek's children, Dylan and Kourtnie Smetzer. Leo Alfred Family purchased flowers for the family of Dale Smetzer.